University of Pittsburgh School of Medicine, Hepatobiliary Transplant Anesthesia, VA Pittsburgh Healthcare System, Anesthesia Service, Rm 3A101, University Drive C, Pittsburgh, PA 15240, USA. Simulator training offers an opportunity to safely educate new residents in a conducive learning environment. New, first-year anesthesia residents received a 3-day training course prior to beginning clinical training. Instruction focused on developing knowledge and skills for operating room preparation, general anesthesia induction, airway and anesthesia management, and post-operative transfer of care. Before training, residents rated their confidence for performing basic anesthesia skills and completed a knowledge test. At course completion, residents performed operative management for a simulated healthy patient undergoing uncomplicated general anesthesia and repeated the confidence and knowledge tests. Forty-five new, first-year residents enrolled in and completed the simulator course. Prior to training, residents were neutral about their confidence for performing laryngeal mask airway placement, operating room preparation, general anesthesia induction, or transfer of patient care. They were confident that they could perform bag-mask ventilation and direct laryngoscopy prior to training. Mean percentage of correct answers on the knowledge test was 53% before training. 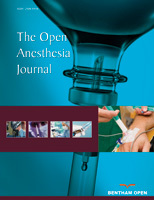 After training, confidence for performing each of the six assessed anesthesia skills increased numerically, with residents expressing confidence in performing every skill. Increases achieved statistical significance (P<0.01) for all skills except for bag-mask ventilation. Mean correct responses on the knowledge test after training increased to 69%. A brief, 3-day didactic and simulator training course for new, first-year anesthesia residents can improve resident confidence and competency to begin clinical anesthesia training.